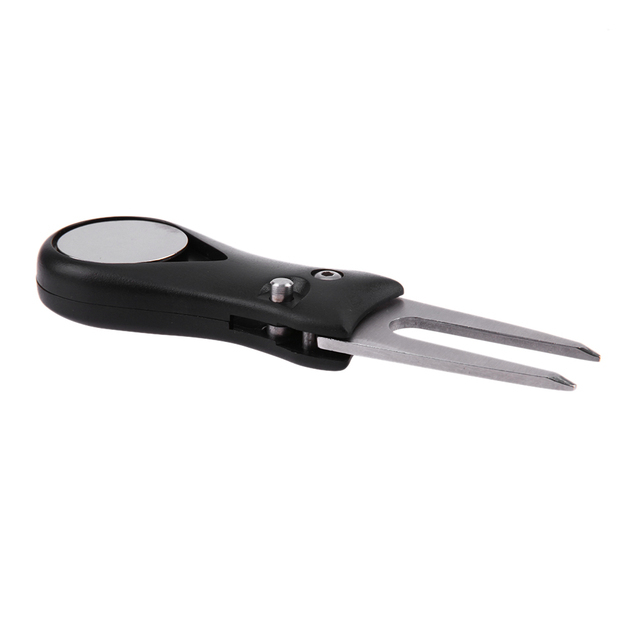 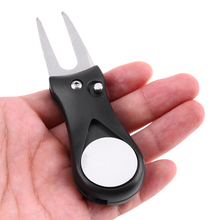 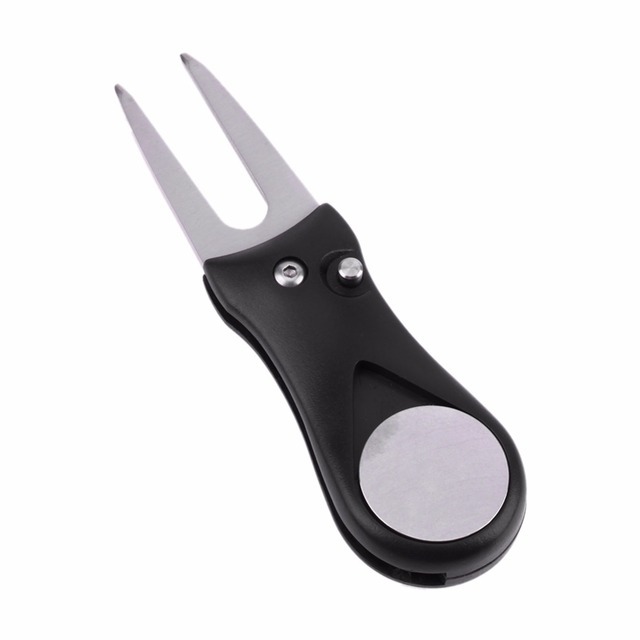 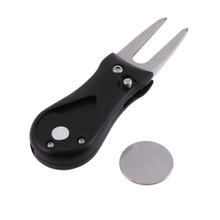 The VKTECH golf divot repair tool is a spring-operated fork that is very easy and convenient to open and close. 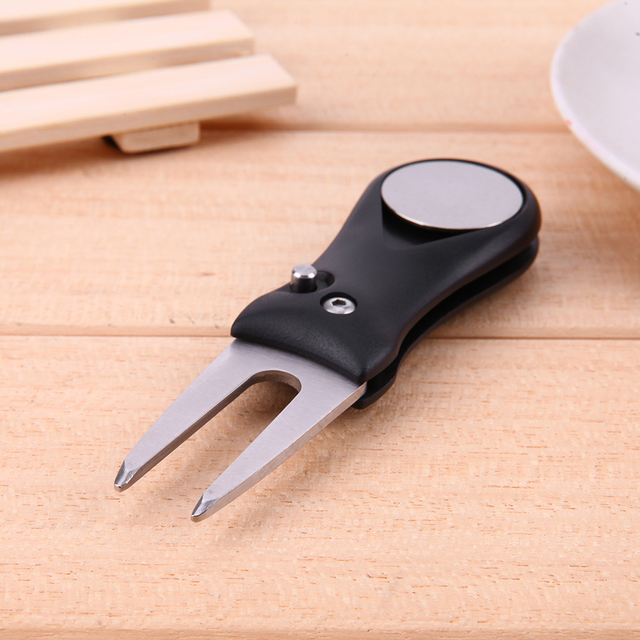 It is made from zinc alloy and ABS. 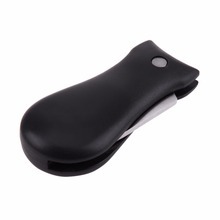 It is very light weight and easy to carry. It also features a magnetic ball marker. Available color is black only.